The Fortress of Solitude perhaps? 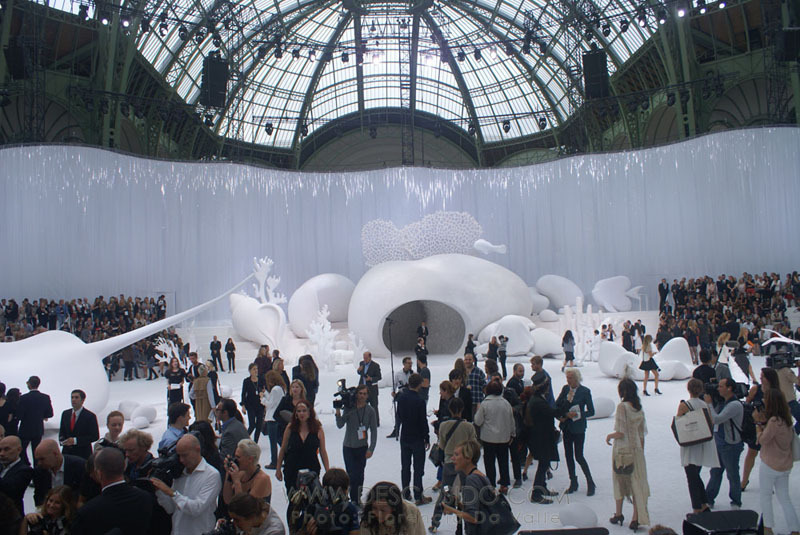 This is was the first thing that came to mind when you entered the Grand Palais today. 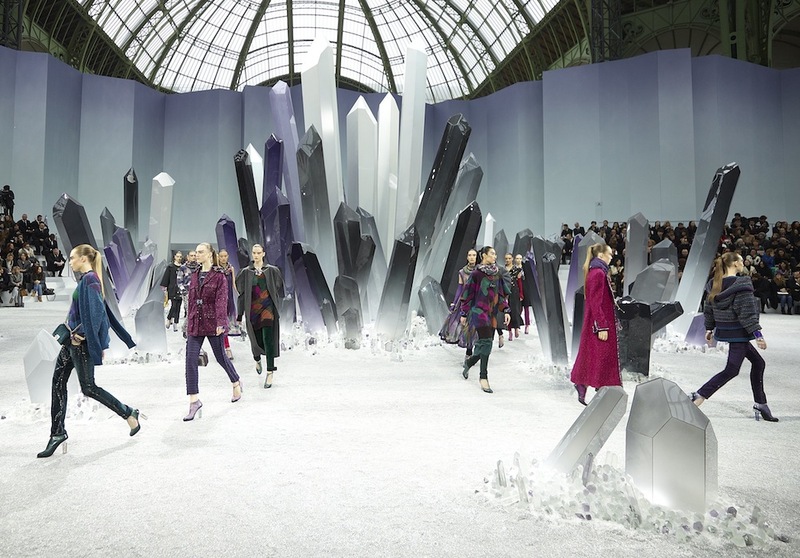 But there was no superhero inspiration, Monsieur Lagerfeld claimed to have been inspired by the beauty and modernity of nature's shapes, something he already said last season regarding his marine set up; but this time, he clearly referred to the giant crystalline sculptures with tones of deep purple and grey that decorated the runway. "The best thing you can do is dive with your imagination, you can never drown yourself. "- Commented Karl Lagerfeld referring to his Chanel Ready to Wear Spring Summer 2012 collection.